Paxton Signs pays tribute to its numerous customers, past and present, by sharing their stories and describing our sign projects with them. Many of our customers have interesting founding stories, others unusual histories or operational anecdotes. 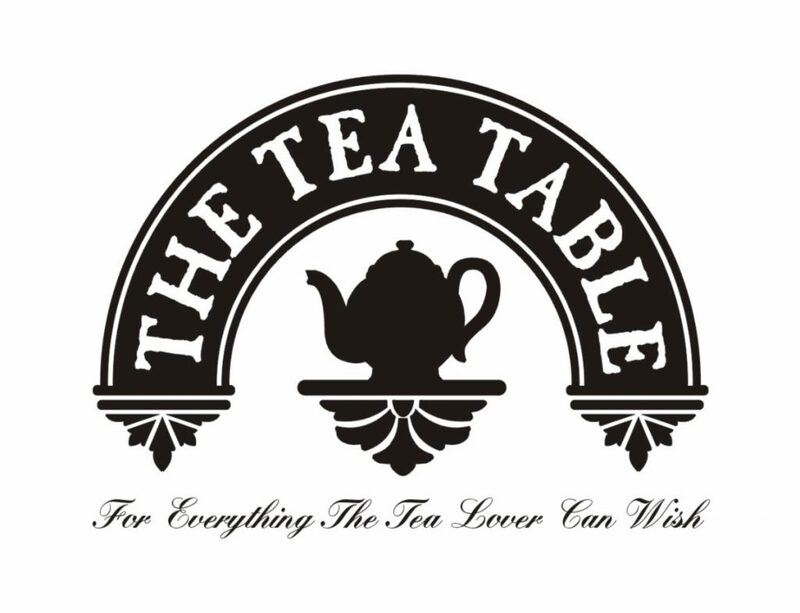 This week’s featured business is The Tea Table, an online tea store located in Fort Collins, Colorado. Customer Service hours by phone are 9:00AM – 4:30PM Monday, Tuesday, Thursday, and Friday, Mountain Time, or 24 hours a day with their Contact Form. Toll Free – 866-551-5520, Local – 970-221-5520. Welcome to The Tea Table! An online store that offers over 200 loose leaf teas, tea accessories, Bee House teapots, Tea of the Month Clubs, and great customer service. The Tea Table started in 2000 as a walk-in retail shop where customers in Fort Collins, Colorado, could come to leisurely browse beautiful tea products and select from hundreds of loose-leaf teas. The only shop of its kind in this area, the store developed an impressive following. After three years at the retail shop, it became clear that The Tea Table’s products were in universal demand, so the decision was made to forgo the storefront and become an online-only store. The business has continued to grow and flourish since then. In fact, they’ve had to move to larger quarters three times, but now are in a facility large enough to sustain their needs for several years. Even though they continue to grow, The Tea Table remains a small privately owned company, with the core members of their staff still serving up the best pot of tea…anywhere! 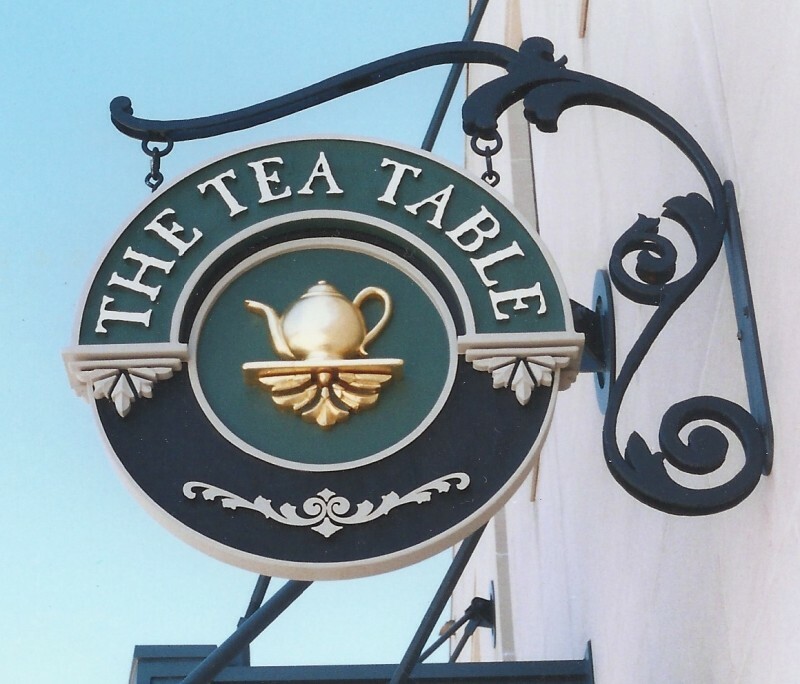 Paxton Signs designed The Tea Table’s logo and sign using an Old English theme – a traditional approach for both their product identity and physical signage. 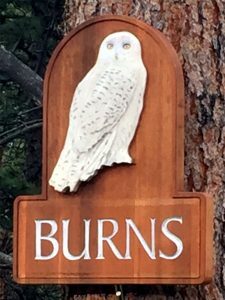 The sign is sandblasted and dimensional, using layers of high-density urethane and hand-carved art elements. 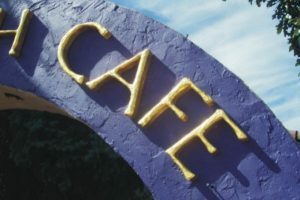 A prominent, hand-carved, gold-leafed teapot graces the center of the sign and is especially eye-catching in sunlight. The black and green paint highlights the graphics and hand-carved elements. An elaborate iron hanging frame completes the traditional theme. Pictured, below, are the logo and sign. Contact The Tea Table and explore the world of teas at their website, https://www.theteatable.com/SFNT.html, or phone in your order at, Toll Free – 866-551-5520, Local – 970-221-5520. Estes Park is the home of a towering 1980’s, two-sided, Paxton Sign. Still standing and holding its own, the Spruce Lake RV Park monument sign has weathered 38 years of high country outdoor conditions, including rain, sleet, snow, wind, ice and UV rays. The main panel measures 10′ x 8′, and is constructed of wood and high-density urethane. Hand-carved letters and a hand-painted (lake scene) art element dominate the visual space. The “welcome” panel letters are hand-carved as well. Spruce Lake RV Park sign is located on the Mary’s Lake road, a left turn off of the main Estes Park road into Rocky Mountain National Park’s south entrance. View Paxton Signs’ galleries at, paxtonsigns.com, and read our blog at paxtonsigns.com/blog. Paxton Signs’ more than 37 year history includes hundreds of signs. Some are major monument signs, some small business signs. 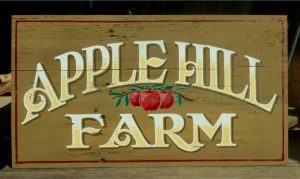 We’ve created ranch signs, lighted signs, signs made from recycled wood, hand-painted signs, carved signs…a continuous variety of communication art. 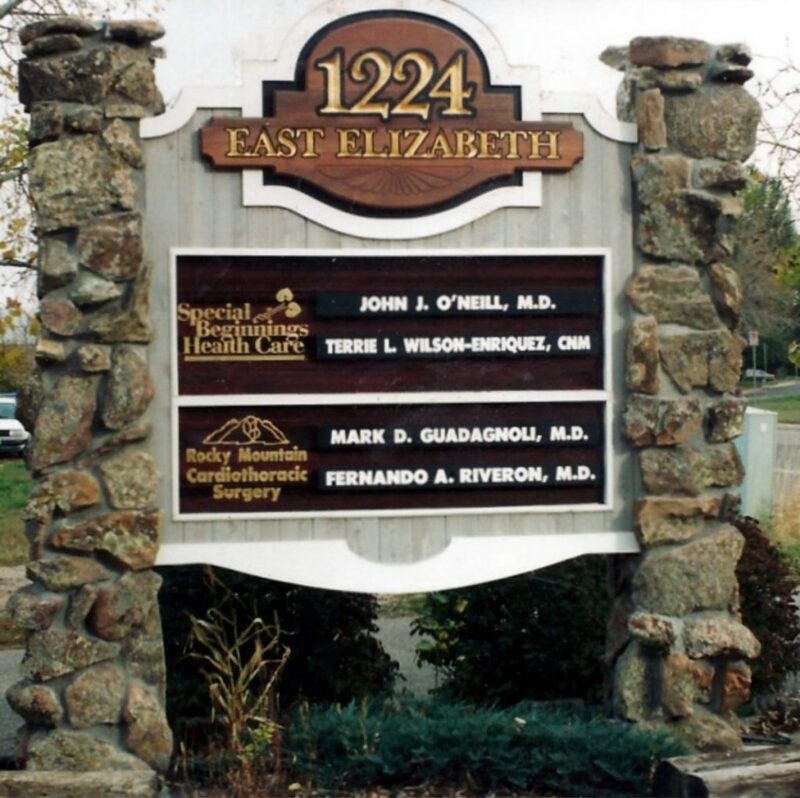 Today’s “Throwback Thursday” sign is the 1224 East Elizabeth monument sign, designed by Paxton Signs and constructed in the late 1980’s. 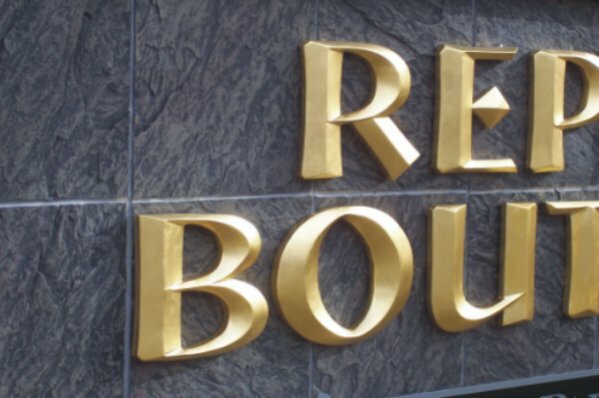 The complex, dimensional sign combined hand-carved, gold-leafed letters, routed art elements, and sandblasted logo panels. The two stone piers that contain the sign were built with moss rock that coordinated with the office’s stone detail. Paxton Signs pays tribute to our numerous customers, past and present, by sharing their stories and describing our sign projects with them. Many of our customers have interesting founding stories, others unusual histories or operational anecdotes. 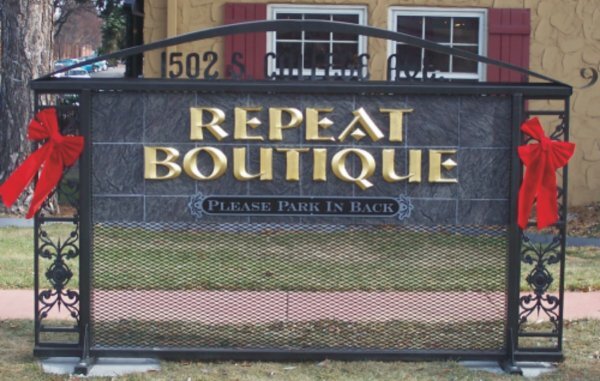 This week’s featured business is, Repeat Boutique, located at 1502 S. College Avenue, phone, 970-493-1039. Repeat Boutique is the city’s finest local consignment store. It sells high quality, re-purposed merchandise at affordable prices. The store has been locally owned and family operated since 1987. Repeat Boutique was “green” before being green was hip. The boutique specializes in re-purposing, consigning and selling premium quality clothing in addition to accessories, estate, costume and fine jewelry, vintage clothing, home décor items and antiques. All items are affordable and carefully hand-picked, and all are in great condition and working order. Whether you’re buying or selling, you’ll love Repeat Boutique’s beautiful shop and its relaxing, friendly atmosphere. Paxton Signs designed the boutique’s sign to reflect a bit of nostalgia, but focused on the store’s fine quality merchandise by incorporating shimmering, hand-carved, prismatic gold leaf letters set on a dark gray tile background. Black iron filigree conjures vintage latticework. The sign is incredibly durable because of the sturdy materials used to construct it: Tiles, iron latticework and the hand-crafted, gold leaf letters that will withstand Colorado’s changing seasons for decades. Visit Paxton Signs Galleries at, http://paxtonsigns.com, or call us at, 970-221-5519.
located at, 101 Commerce Dr., Fort Collins, CO 80524. Call Quick Appliance at, 970-493-3236. The quote, above, is the Quick Appliance commitment to customers in Fort Collins and Northern Colorado. A family-owned local business, Quick Appliance provides in-home and carry-in repair service for all major appliance brands, as well as sales services for those looking to purchase new or refurbished appliances. If you have an emergency, or just need technical support, Quick can help. They are so confident about their service that all of their work – labor and parts – is guaranteed for one full year. Quick fixes your appliance problems so you can get back to life. Recently, Quick Appliance underwent an identity update, changing their logo and Internet appearance. Paxton Signs contributed to the over-all marketing refurbishment effort by re-designing Quick’s van fleet. The vans (shown, below) are highly visible, attractive and easy to read at a glance – the essence of good advertising design. 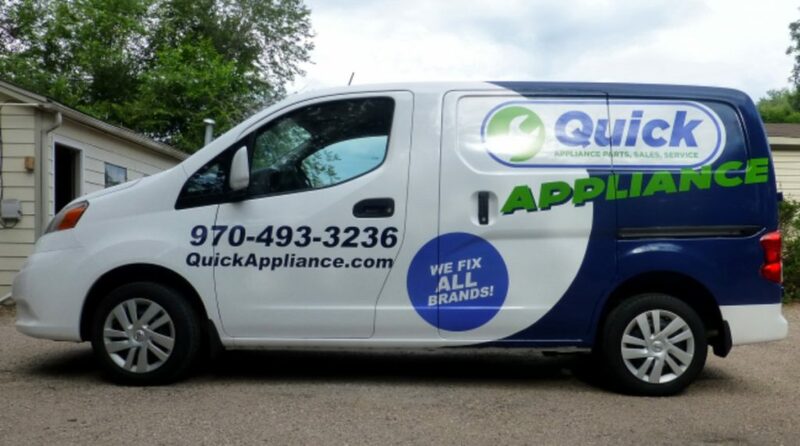 With great vehicle design and effective advertising and marketing decisions, Quick Appliance has become a respected business leader in Northern Colorado and surrounding areas. Visit Paxton Signs at, http://paxtonsigns.com, or use our “contact” feature, above. Animals are an important part of our lives. So much so that most owners go to great lengths to maintain their animals’ health and to ease their pain and suffering. Arenus Animal Health of Fort Collins is proud to offer the industry’s best solutions for animal health care. They specialize in equine colic relief products, as well as a variety of other natural health supplements for dogs and horses. These health supplements are derived from natural ingredients and aid in relieving common health issues such as, animal stress and anxiety, arthritis, reproductive problems, and equine colic. The Arenus team cares deeply about animal health. They make it their mission to deliver exceptional products, and work diligently to ensure consistent quality and safe manufacturing processes. To enhance the Arenus brand and curbside presence, Paxton Signs designed a free-standing, 3.5′ x 6′ monument sign that is both elegant and highly visible. Constructed of powder-coated black steel, it is finished with attractive horizontal, brushed aluminum name panels. The contrast between the black and silver is striking and sets the sign apart from others in the area. The base is built of solid concrete and finished with authentic stone veneer. Visit Paxton Signs at, http://paxtonsigns.com, or use the “contact” feature, above. Paxton Signs pays tribute to its numerous customers, past and present, by sharing their stories and our resulting sign work. Many have interesting founding stories, others unusual histories or operation anecdotes. 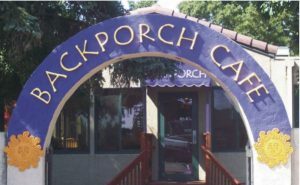 This week’s honoree is The Backporch Cafe, located at 1101 E. Lincoln Ave on the south west corner of Lincoln and Lemay. Having experienced the Backporch’s excellent homemade cuisine ourselves, Paxton Signs recommends the Backporch, both for its food and its service. 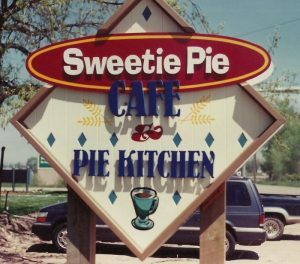 The Backporch Café, established in 1997 by Mike Cooper, was originally a small pie and coffee shop called “Sweetie Pie.” Paxton Signs created the main sign for this establishment. After purchasing “Sweetie Pie,” Cooper reached out to his regulars for new name suggestions. “Backporch Café” was the one that resonated. At that early time, the area known as their main dining room was actually a deck that provided outdoor seating. The necessary indoor seating was available at the bar top or in the back room by their neighboring shop, “Lamb Spun.” So the name, “Backporch Café” seemed suitable. The Backporch serves guests delicious homemade bread, cinnamon rolls, muffins, biscuits, pies, hamburger buns, dinner rolls, and quiches from their bakery, where, to this day, owner Mike Cooper bakes from scratch all of these favorites. The Backporch team also smokes all of their own meats from pulled pork, pork chops, and pork ribs to chicken and sometimes salmon. They also make their own breakfast sausage and chorizo sausage. Even the green chili everyone loves to smother their favorite breakfasts in is made in-house daily. Visit The Backporch website, thebackporchcafe.com, and Paxton Signs, paxtonsigns.com. Contact Paxton Signs by using the contact feature, above. 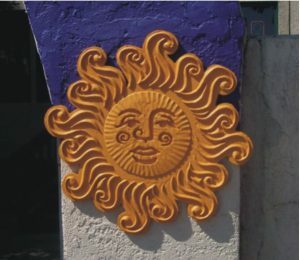 Pictured, below, left: The Backporch gold leaf letters closeup, the archway sign, and one of the sun motif elements, far right. Bottom: Paxton Sign’s Sweetie Pie and Lamb Spun signs. RESIDENCE AND CABIN SIGNS: ORDER NOW FOR THE HOLIDAYS! The holiday season is the perfect time to give a unique, personalized gift that can be enjoyed all year long: A residence sign from Paxton Signs. There are numerous creative techniques available to create the styles, colors and textures you may have in mind. 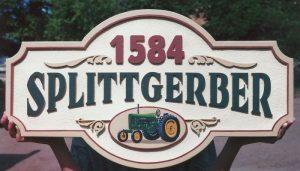 Hand-carved elements are very popular, as are sandblasted and painted signs (see samples, below). In addition, custom frames and trim can be added for an even more comprehensive look. Most residence signs measure 12” x 20” either vertically or horizontally, but size varies for most custom orders. 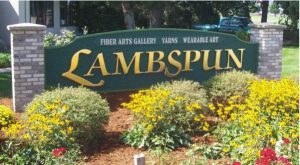 Depending on the detail work involved, the average residence sign will cost approximately $350-$400. When you consider that they last decades, a quality Paxton Signs residence sign is a good investment, one you’ll be proud to give and enjoy every time you visit the happy recipients. For our complete Residence Signs portfolio, please use the menu bar, above, to navigate to that gallery. To order your RESIDENCE SIGN for the holidays, call Paxton Signs at, 970-221-5519, or use the “CONTACT” feature, above. Paxton Signs Residence Signs, featuring, 1) Splittgerber Sandblasted Residence Sign, 2) Burns Hand-carved Residence Sign, and, 3) Apple Hill Farm Hand-Painted Residence Sign. Contact Paxton Signs using the contact feature, above, or call us at: 970-221-5519.